I was invited to the launch of BUY MORE, FLY MORE! campaign. This is not an ordinary contest because three giant names in the industry partnered together to bring this awesome promotion to their loyal customers. To know more about the mechanics, scroll down below now!!! 1.) In a single transaction, every P500 worth of at least 4 different P&G participating brands in Robinsons Supermarket is equivalent to 1 sticker. 2.) Collect 12 stickers and get a Cebu Pacific GetGo card with 2,600 points (GetGo card P150 membership fee waived) *2600 points is usually equivalent to a one way-trip to Cebu. 3.) Open to all Robinsons Supermarket shoppers. 4.) Maximum of 12 sticker redemptions per day per shopper. 5.) Sticker card, stickers, and GetGo cards are redeemable at the customer service of any Robinsons Supermarket branch where purchase was made upon presentation of valid receipt. 6.) Sticker card, stickers, and GetGo card are non-convertible to cash. 7.) To claim their GetGo card customers must surrender the sticker card with 12 stickers to the Robinsons Supermarket customer service. 8.) 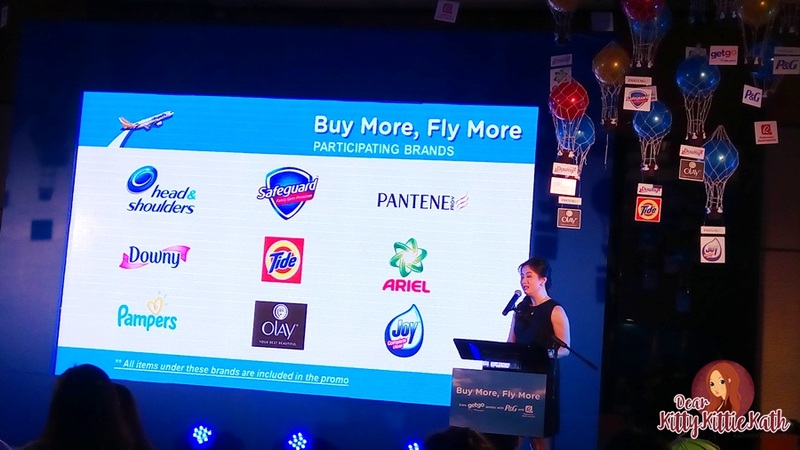 Participating brands: Safeguard, Olay, Head and Shoulders, Pantene, Pampers, Ariel, Tide, Downy, Joy. 9.) Promotion period: November 1, 2015 to April 30, 2016. 10.) Redemption period: November 1, 2015 to June 30, 2016. 11.) Promotion excludes wholesale transactions. 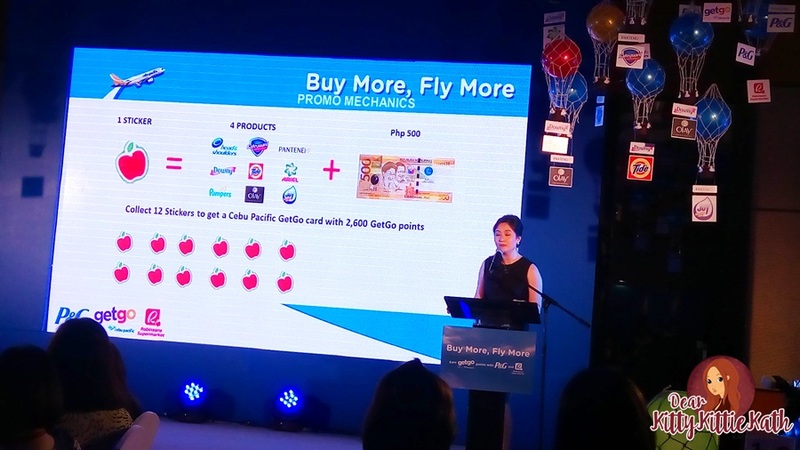 “Buy More, Fly More” is an exciting new campaign being offered by P&G, Robinsons Supermarket and GetGo, Rewards by Cebu Pacific. 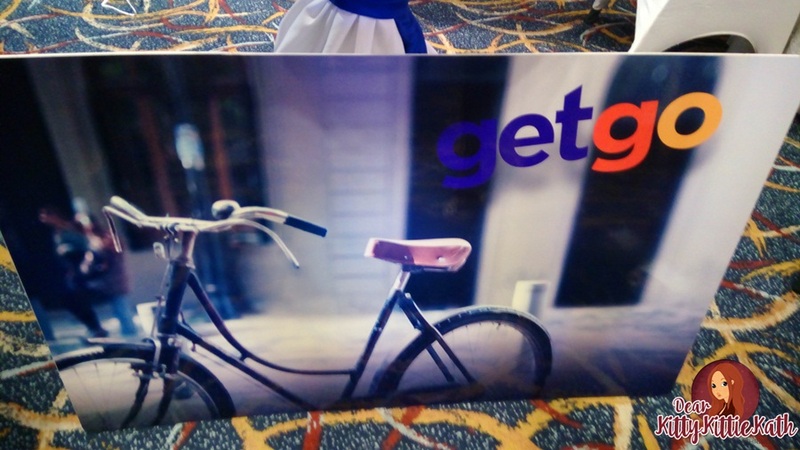 Shoppers of P&G products in Robinsons Supermarkets can now earn GetGo points, which can be redeemed into flights. The promo runs from November 1, 2015 to April 30, 2016. Terms and conditions apply. Now there are more reasons to shop in Robinsons Supermarket and to hoard my favorite P & G products. I don't travel a lot but if there's an opportunity and a chance to FLY FOR FREE, why not?! Enjoy shopping at Robinsons Supermarket and have a chance to fly to your dream destination from GetGo and Cebu Pacific.